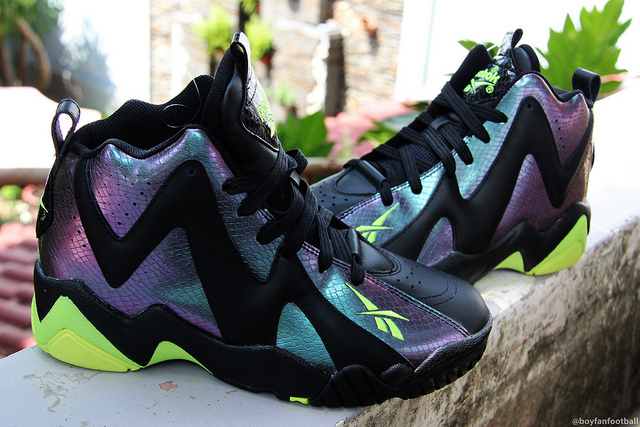 A closer look at the new Reebok Kamikaze II "Year of the Snake." 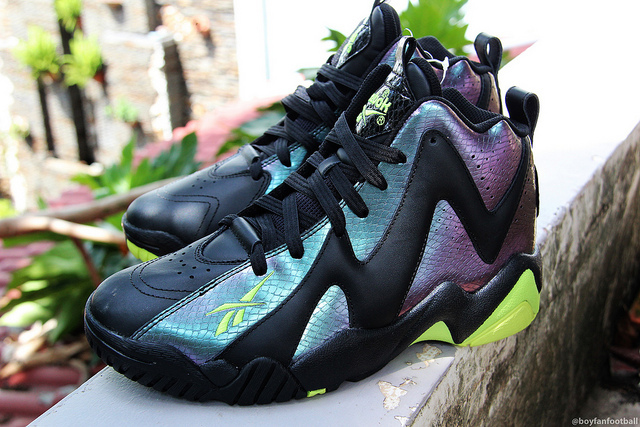 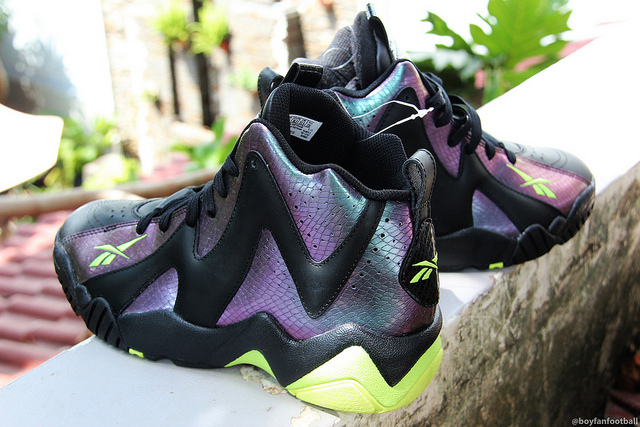 New images of the Reebok Kamikaze II "Year of the Snake" have surfaced online this week. 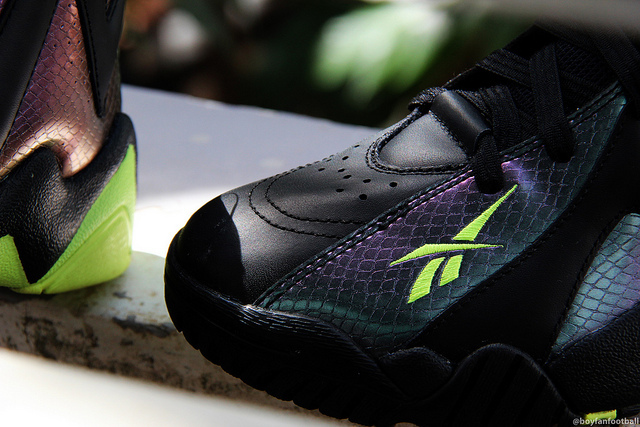 First previewed in April, this latest take on Shawn Kemp's classic hoops shoe features an iridescent snakeskin upper, mixing together teal and purple hues with smooth black leather. 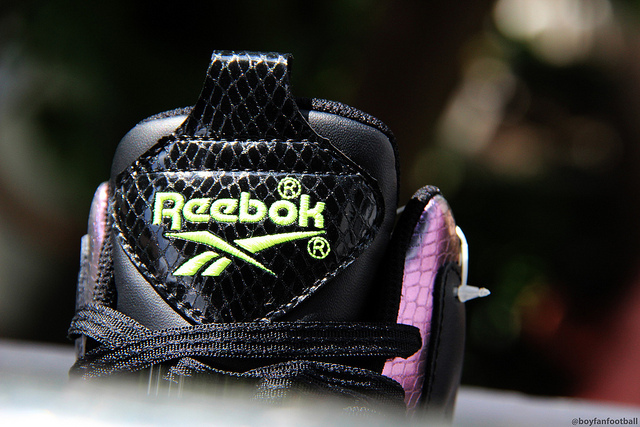 Black snakeskin covers the heel and tongue pulls, while neon green marks the outsole and individual branding hits. 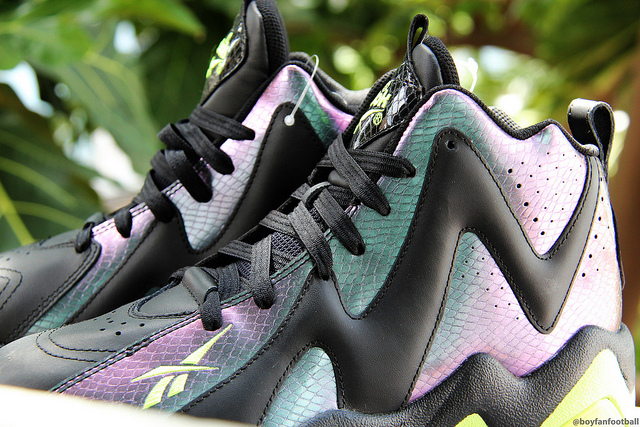 Take a closer look at the Reebok Kamikaze II "Year of the Snake" below, and stay tuned for further release details.